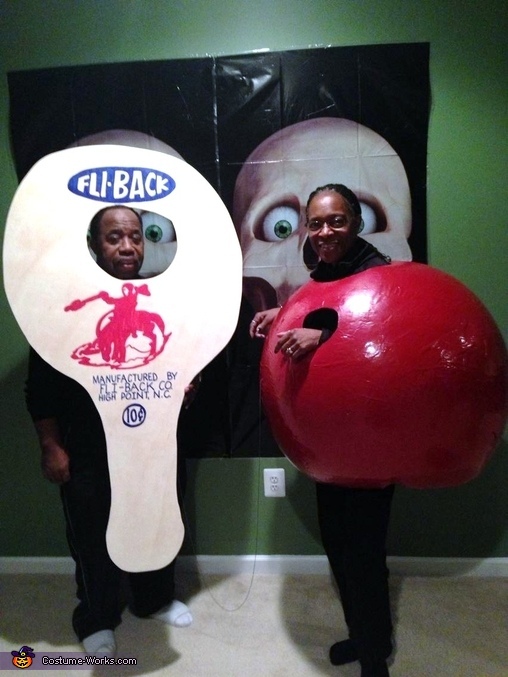 My sister and her husband (Joan and Ronald) are a replica of the old fashion Bat and Ball. The bat is cut from thin wood and the ball is a large balloon blown up covered with paper mache and popped, so that cutouts could be made. The ball was attached to the bat using elastic thread. The product's name and logo were downloaded, enlarged and put on the bat.